Early this morning, the Wall Street Journal reported that Microsoft will acquire Nokia's mobile business in a transaction expected to cost $7 billon dollars. "The companies said late Monday that Microsoft will pay €3.79 billion to buy "substantially all" of the Nokia business, which includes its smartphone operations. The Redmond, Wash., company will also pay €1.65 billion to license Nokia's patents, the companies said, bringing the deal to €5.44 billion, or $7.18 billion." 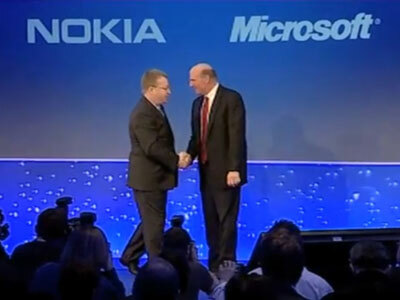 The deal ends months of rumors that Microsoft would buy Nokia. As part of the deal, Microsoft will license Nokia's patents and will hire the 32,000 current Nokia employees, which also includes Nokia CEO Stephen Elop, a former Microsoft executive. The deal comes at a time when Microsoft is falling behind handset rivals Samsung and Apple. Outgoing Microsoft CEO Steve Ballmer has stated that as part of his company's major restructuring, he is attempting to turn Microsoft into a "devices and services" company. 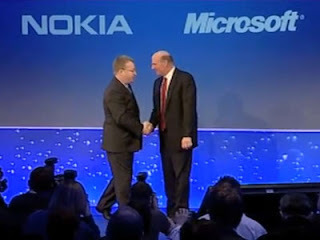 Acquiring Nokia is expected to give Microsoft a much needed jump start in the mobile phone market. Making the deal a successful will be difficult. Microsoft's Windows Phone 8 software, which is the exclusive operating system software on all of Nokia's smartphones, has not been the success that Microsoft or Nokia had been hoping for with a US marketshare of about 3-4%. You can read the full press release on Microsoft's website. iPhone 5S Status Update - I Got Mine!